Normally, I find “This site has moved” messages annoying. There are better ways to divert people from an old site to a new one. But I was glad to see a message on President Barak Obama’s Change.gov website. 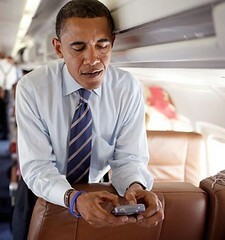 Now you can follow him on WhiteHouse.gov. Welcome back, White House website!